The idea is a very simple one, and consists of a special funnel developed by Plastic Surgeon Dr. Kevin Keller. The Keller Funnel is lined with a super slippery substance that allows the surgeon to place the implant through a small opening. With very little effort, the implant is pushed through the funnel, into the pocket that has been developed for it. There is less stress to the implant (and to the surgeon) using this technique. There is also no need to touch the implant which can contaminate it with powder or lint from sponges. Until recently, Dr. Green only offered Saline filled implants for placement through the armpit. This has all changed with the advent of the Keller Funnel. Although the silicone gel implants are more expensive, the benefits justify the extra cost. The silicon cohesive gel implant does not have the tendency to ripple as does the saline implant. The implant can be underfilled and has a more natural feel. 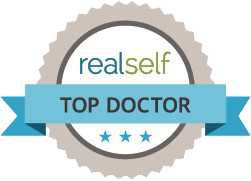 Most people interested in breast augmentation areas choosing the gel implants. Dr. Green is changing his preference to the use of Cohesive Gel Implants placed via the Axilla in his Cleveland Plastic Surgery Practice. This is a link to a video made by Dr. Green that shows the use of this technique with 550cc Cohesive Gel Implants.